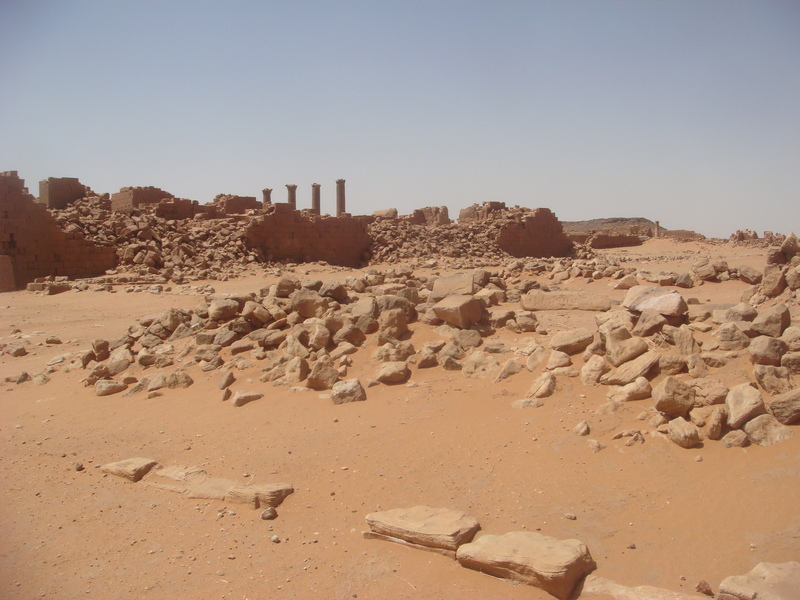 Musawwarat es Sufra (or just Moswarat) is the largest temple complex dating back to the Meroitic Period in Sudan. It consists of two main parts — the Great Enclosure and the Lion Temple of Apedemak. The Great Enclosure, which was mostly built around the third century BC, is a vast structure consisting of low walls, a colonnade, two reservoirs and two long ramps. The purpose served by this enclosure is uncertain, with a handful of ideas on the table ranging from a royal hunting palace to the primary sanctuary for Apedemak, the Meroitic god. Perhaps the most accepted proposal is that it was an elephant training camp. 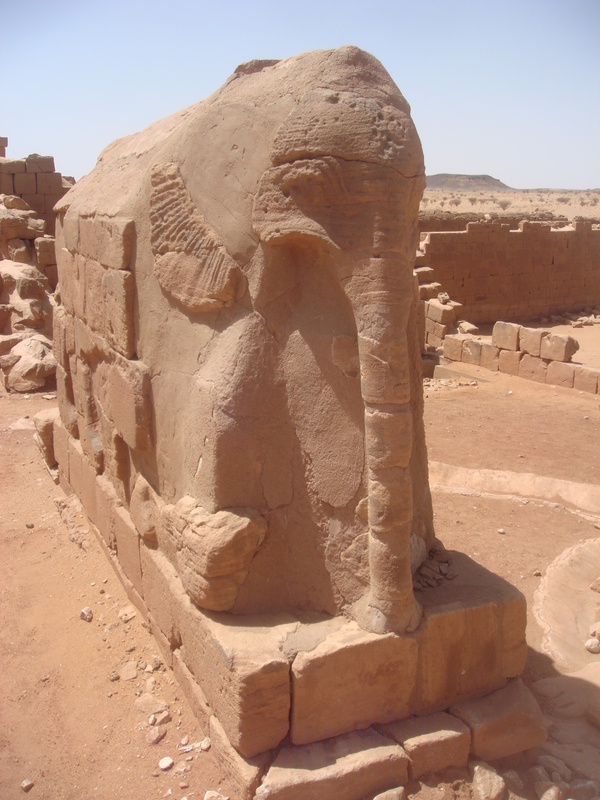 In addition to the two ramps that might have been used for the big animals to go up and down, and also in addition to the statues of elephants that can be found in the vicinity, there exists a tremendous collection of elephant carvings throughout the Great Complex. This certainly isn’t acceptable now. Was it acceptable back then? 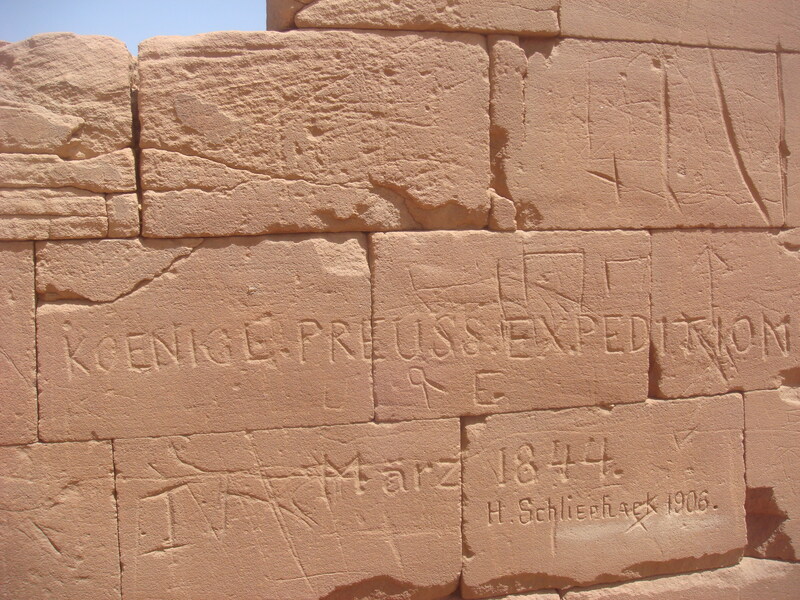 Tags: Eleonora Ames, Elephant Temple, Justin Ames, Musawwarat es-Sufra, Sudan, The Great Enclosure. Bookmark the permalink.